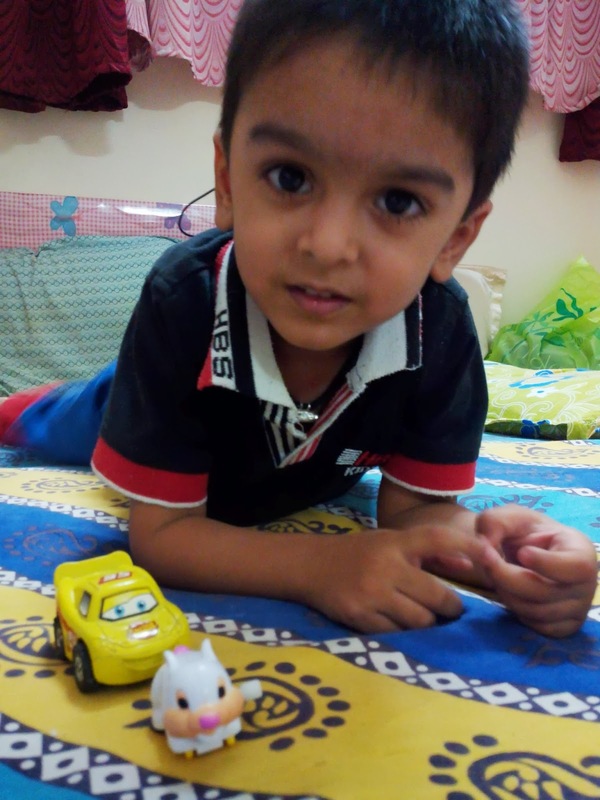 Aarav's journey to hearing......: Yellow and Blue!!! Yesterday night, we removed Aarav's Neptune and hearing aids and let him be till we were ready to sleep. It was already midnight and I got in bed and was about to doze off, when suddenly Aarav started shouting.. Without his magnets on, he was not speaking to us, but he was entertaining himself with something..
Aarav was actually following and saying out loud the alternating pattern of colors on our bedsheet!!! Without a doubt - Blue and Yellow! !